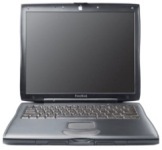 Carrie has a Powerbook G3 on which all her work is stored. The machine crashes and in desperation she takes it to a computer repair shop in the hope of getting her files back. This is one of my favorite episodes. 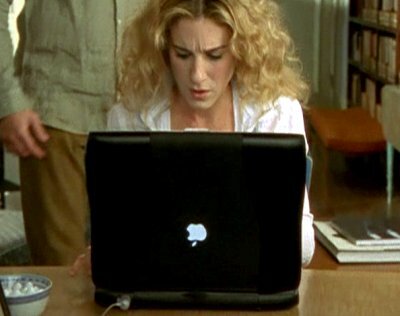 I can completely understand the panic and frustration Carrie Bradshaw (Sarah Jessicia Parker) when her computer crash, i.e., motherboard, etc.